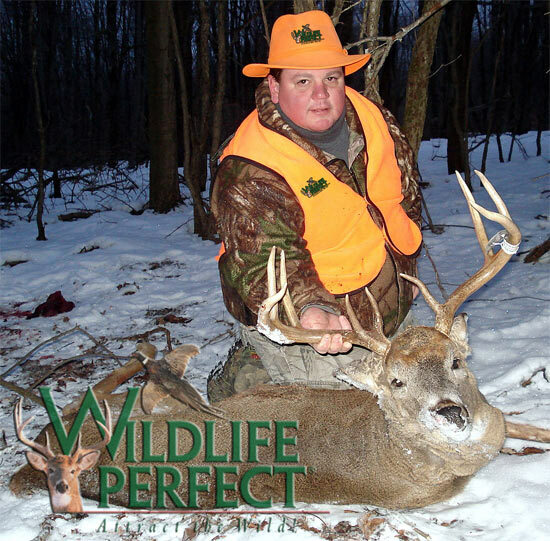 "This mature whitetail was harvested over a 3 year old Wildlife Perfect� Grazing Mix food plot located in Northwestern PA during the 2008 Rifle Season. 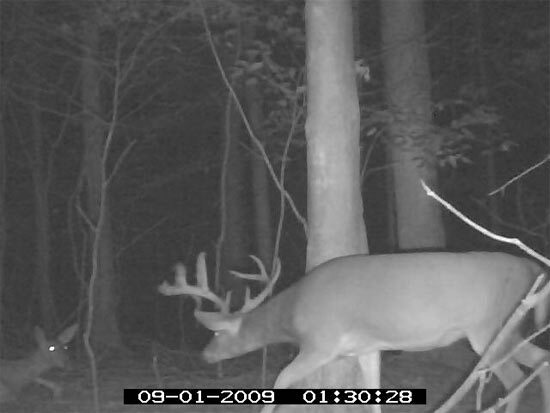 The mature buck was running with 2 other shooter bucks, but was the largest animal in the group. 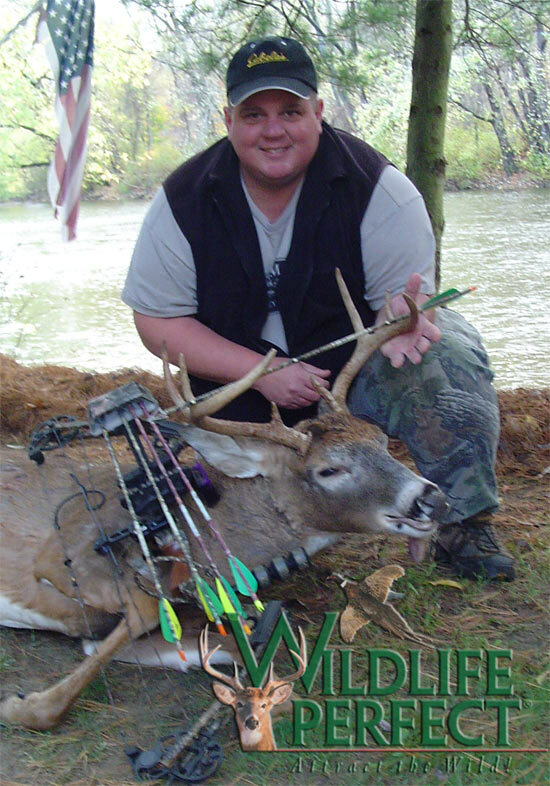 By providing good nutrition year round, we are seeing healthier deer supporting larger antlers! This fine animal will grace the walls of my den!" 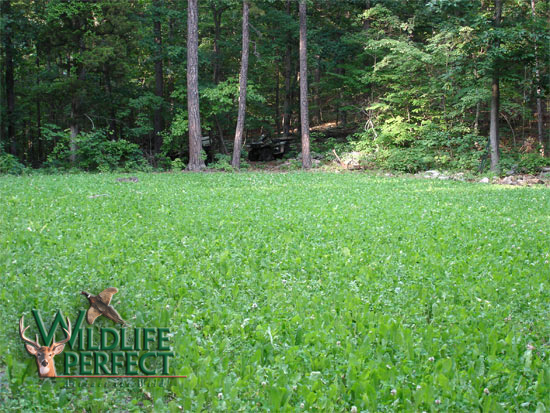 "I harvested two bucks from the same patch of Wildlife Perfect� Grazing Mix on the border of a swamp. The 11 pt was on opening day and weighed 210lbs and a very high racked 8 pt was the end of December weighed 195 lbs. 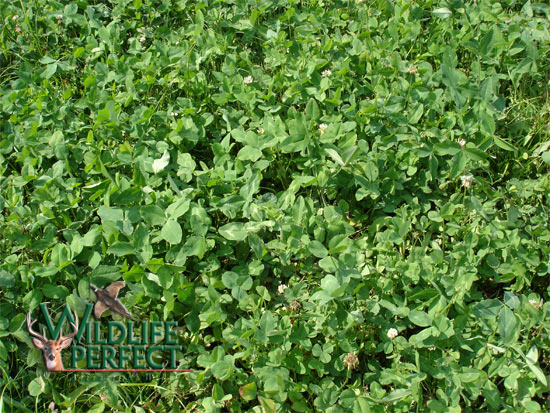 Wildlife Perfect� has really paid off for me in Mississippi. 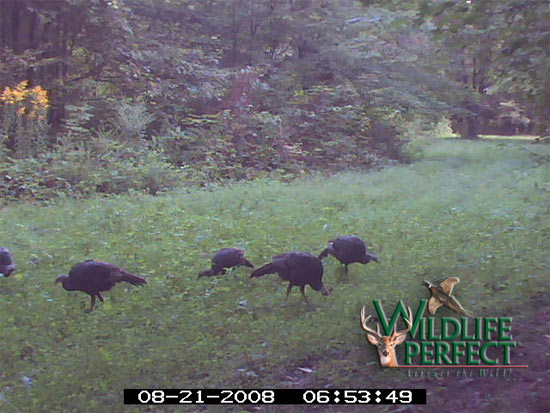 I plan on making several more plots this year for the 2009-2010 season." 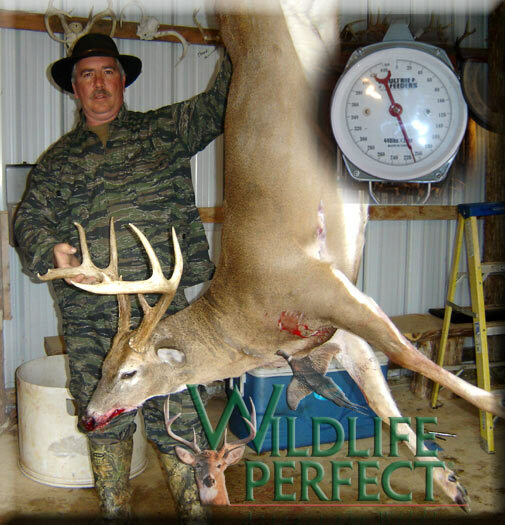 "I harvested this buck late Saturday night coming out of a Wildlife Perfect� Grazing plot. It's my largest buck with a bow. 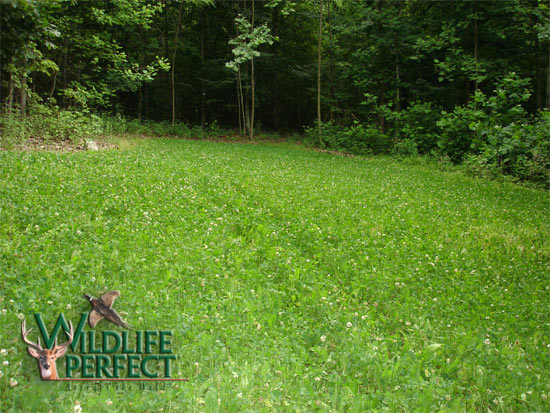 It field dressed around 195 and is an 8 pt with a 18 inch spread. 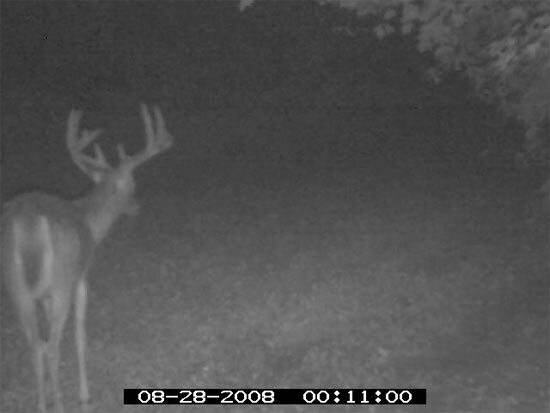 Though the G2 and 3�s aren�t very long, the deer was massive! I finally got out of the woods after 8 pm Saturday!" ~Scott R., State College, Pennsylvania. October, 2007. 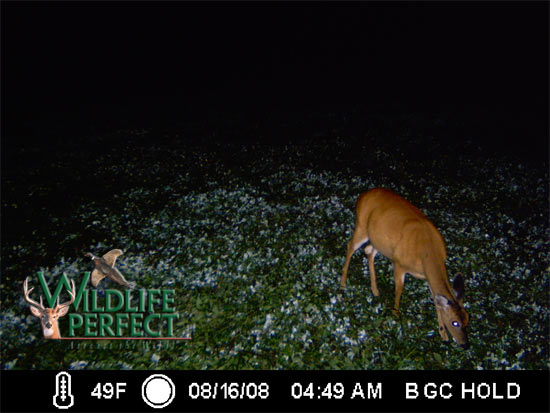 Game cam photos over Wildlife Perfect Grazing Mix plots.